Few people can say that they have dedicated their life to audiovisual work more than Ray Edmondson. As a pioneer of film and sound archiving, Ray has been an international leader in preserving, restoring, interpreting and presenting audiovisual media. His book, Audiovisual Archiving: Philosophy and Principles, is a professional standard for those learning film and sound archiving and has been translated into 10 languages. I have known and appreciated Ray's work since my beginnings in academia ten year ago. I have always found his take on the subject unique, intelligent, and very much needed in this field. Thanks to Technoculture, I have had the pleasure to have a conversation with him just a few days before the 2018 World Day of Audiovisual Heritage promoted by UNESCO. Here is a summary of Ray's remarkable professional achievements. After graduating in arts and librarianship at the University of New South Wales, Ray Edmondson joined the Film Section of the National Library of Australia in 1968. In 1973 he established and led its new Film Archive Unit. In 1978 he became overall head of the Library's Film Section. Described as the ‘moving spirit' behind the creation of the National Film and Sound Archive of Australia (NFSA) in 1984, he was its Deputy Director until 2001, when he retired and was endowed as its first honorary Curator Emeritus, later serving on its Advisory Committee (2004 to 2008). During this public service career he devised and led corporately funded film restorations and pioneering programs like The Last Film Search and Operation Newsreel. 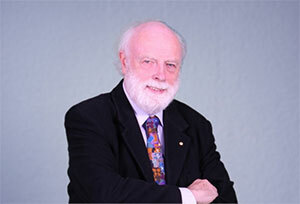 In 1987 Ray was awarded the Medal of the Order of Australia (OAM) for his work in audiovisual archiving. In 2003 he received the AMIA (Association of Moving Image Archivists) Silver Light Award for outstanding career achievement. In 2008 he was elected NSW Pioneer of the Year by the Australian Society of Cinema Pioneers. In 2010 he was made a Fellow of SEAPAVAA (South East Asia Pacific Audiovisual Archive Association) and received its Life Achievement Award. He also received the Distinguished Achievement Award of the Australian Society of Archivists. In 2013 he was recognised by the Brazilian Association for Audiovisual Preservation for “a life dedicated to preserving the audiovisual heritage”, and in 2015 he was awarded a Reconocimiento for his work on audiovisual archiving philosophy by the Universidad Nacional Autónoma de México. His work as chair or board member of various professional or community organisations has included The Federation Line Inc., Music Roll Australia, Archive Forum and the Friends of the NFSA. Internationally, he was elected inaugural President of SEAPAVAA from 1996 to 2002, and was ex-officio Council member to 2008. He was inaugural chair of AMIA's Advocacy Committee and inaugural co-chair of its International Outreach Committee. From 1996 onwards his wider work for UNESCO has included its Memory of the World program. He authored its General Guidelines (2002) and Companion, and served in various roles on its Australian and international committees; from 2005 to 2014 he chaired its Asia Pacific Regional Committee (MOWCAP). In 2016-17 he coordinated the Group revising and updating the General Guidelines. Ray is now the Principal of Archive Associates Pty Ltd, a consultancy service affiliated to SEAPAVAA. He has carried out missions or lectured in over 40 developed and developing countries. He writes for professional journals and his regular teaching commitments have included the audiovisual archiving courses at Charles Sturt University (Australia), University of East Anglia (UK), Universidad Jorge Tadeo Lozano (Colombia) and the George Eastman Museum School of Film Preservation (USA). 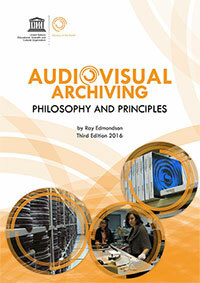 UNESCO publishes his best known monograph, Audiovisual Archiving: Philosophy and Principles, the third edition of which was released in March 2016. His major writings have been published in ten languages. His doctoral thesis was on the history of the NFSA (2011) and he is a Distinguished Alumnus of the University of Canberra. Born in 1943, Ray lives in Kambah, a suburb of Canberra, Australia, with his wife, Sue. They have two sons, David and Peter. His interests include animation, comic art and mechanical music.